The singer shared a video her her one-year-old son Jameson learning to swim, but the boy wasn’t a fan of the water and couldn’t stop crying as he attempted to learn how to doggy paddle. “Swimming lessons are fu*king fun you guys,” she wrote. At one point, Jameson tries to swim solo, dipping underwater, but then surfaces and continues to cry. 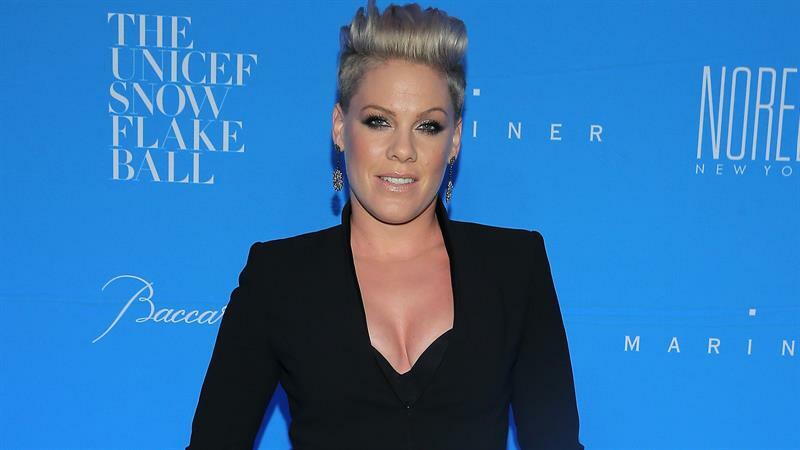 Other moms took to the comment section to share words of support to Pink. “My son was exactly the same screamed each length he swam! He’s now 9 and loves swimming can’t get him out,” one person wrote. “Star them young. My 5 year old had been in swim for a few months now and just stopped crying during class when it was time to put her face in the water. Wish I would have started swim classes earlier for my girls,” another person wrote. “I did the same with both of mine! I’m on board 110% with this and so should everyone else! Safety first!” a third person wrote. Pink is one amazing mama!